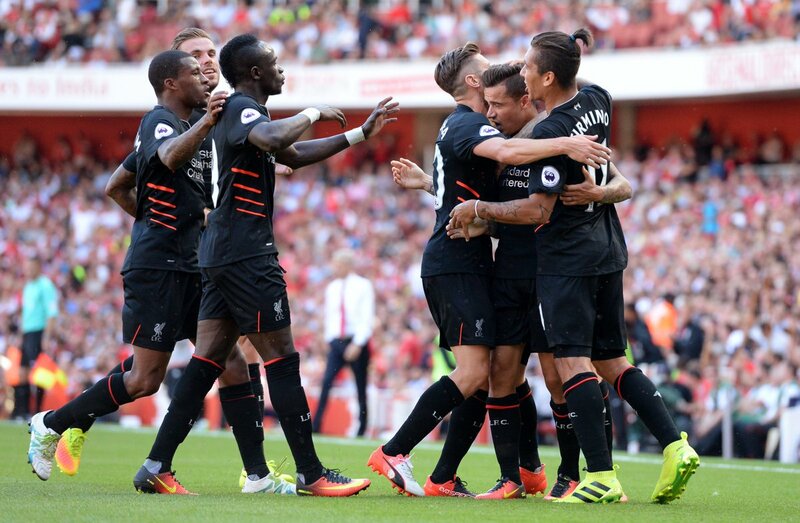 Liverpool got their season off to a flyer as they outscored Arsenal in a thrilling encounter, surviving a late fight back from the Gunners. Boos rang out around the stadium after Arsenal's comeback fell short, in a gripping game which saw them take the lead, only for Coutinho's delightful brace - featuring an exquisite free-kick - Mané's stunner and Lallana's lethal finish to turn the game on its head. Calum Chambers and Alex Oxlade-Chamberlain did help reduce the deficit, but they were unable to further as the Gunners were outgunned. With all eyes locked on the blockbuster opening weekend game at the Emirates Stadium, Arsenal were encouraged to do the early work, leaving the Reds pinned up in their half struggling to open up going forward. Mignolet kept his cool to collect Ramsey's effort, although the first half-an-hour was a stalemate. There were some positive sparks with the likes of Mané and Firmino growing into the game, but eventually, it was the Gunners who drew first blood. Before that though, came a very big let-off for Alberto Moreno and the visitors. 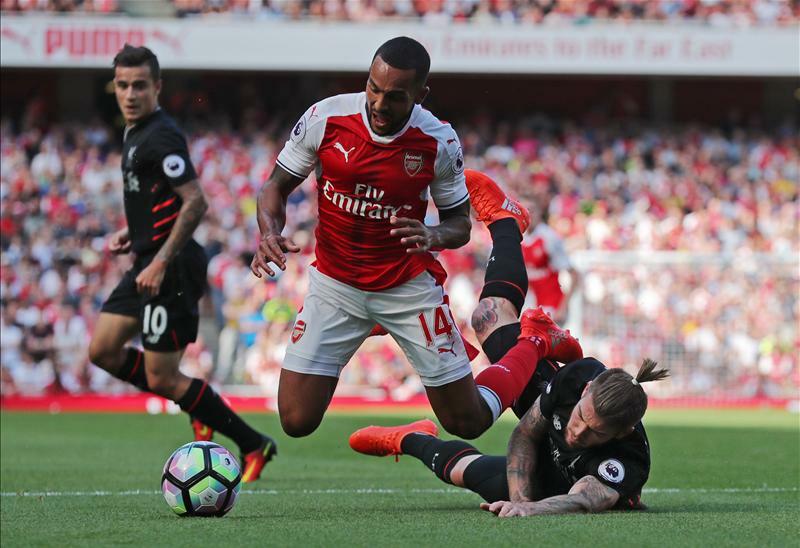 The full-back lunged in to sweep Theo Walcott in the box, giving Michael Oliver no other option but to point to the spot. It was the Englishman who stepped up, but couldn't execute - striking it towards the left where Mignolet sprung across to palm it away. After missing the mark, however, Walcott would redeem himself with the opening goal some 68 seconds later. Alex Iwobi's ground pass carved a gaping hole in the Liverpool defence, where his teammate - with two defenders probing nearby - drilled it low to the far corner, out of reach for the keeper. It turned out that conceding was just the wake-up call the visitors needed. Čech denied Wijnaldum with a straightforward save, before a set-piece opportunity on the stroke of half-time reserved space for some magic on the part of Philippe Coutinho. Around 30 yards out on the centre-left, he whipped a menacing shot in to the left far corner, to make things all level at the break. Over the early goings of the second half, the Reds would go from strength to strength. A blistering team move would derail Arsenal, as Wijnaldum cut in and lofted a ball over to Lallana, who came running in to chest it on and smash a shot to the bottom of goal to steer Klopp's team in front. Not even 10 minutes later and they completely turned the game around. 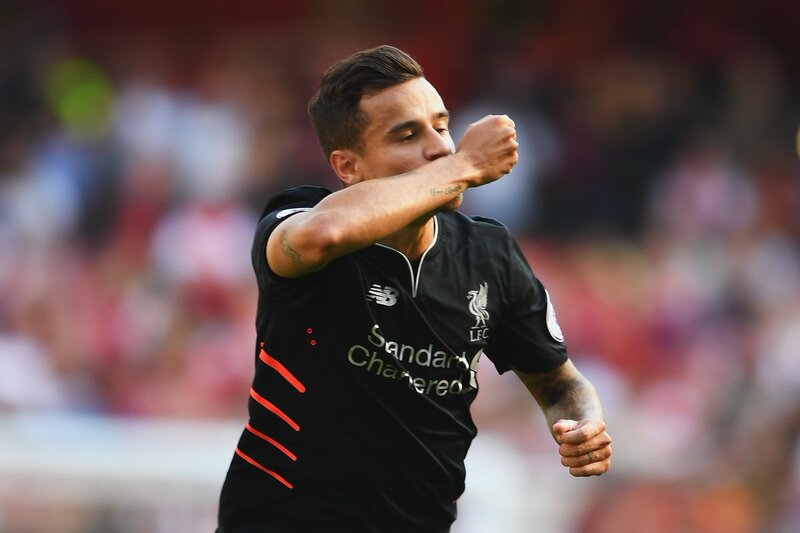 Philippe Coutinho got on the end of Clyne's fizzing cross from the right to bundle it in and put Liverpool on cloud nine. 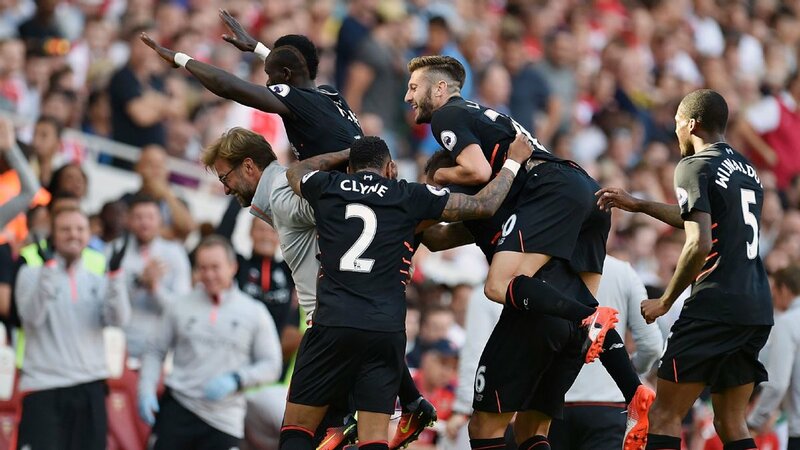 Somehow, they were even able to transcend that, as Sadio Mané bagged a delightful goal in his first competitive game for the club. Dazzling past defenders, he found enough space to slot it in the far corner and make it 4-1. Liverpool were dominating, with the win all but sealed. All but. Alex Oxlade-Chamberlain reduced the deficit to two goals as his shot deflected into the near corner of goal, after skipping past two markers and maneuvering space to find the target in his low effort. Even though the game still remained out of reach, there were just some sprinklings of optimism - and then Callum Chambers would make things even more exciting. With the seventh, and ultimately final goal of the game, he knocked Sanchez's header on past Mignolet to make it a one-goal margin. Just as they were soaring, Jürgen Klopp's side lapsed in defence - work is to be done after getting complacent, but fortunately for the Merseysiders, they would go on to win the game, by surviving a late string of efforts deep into the stoppages.